Mrs. Shirley D. Scott, 79, of Rome, passed away on Saturday, July 28, 2018 at her residence. 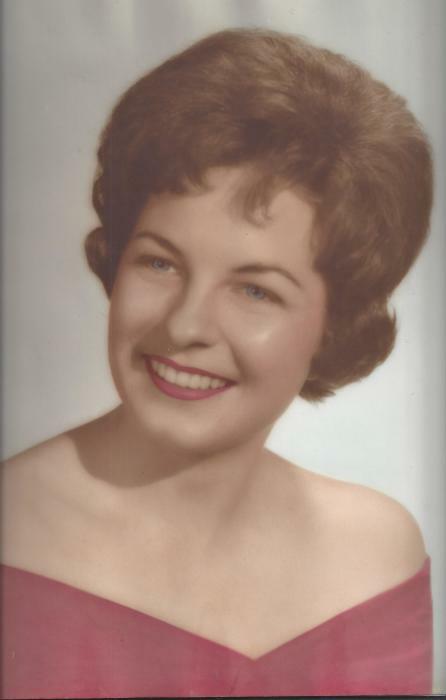 She was born on December 15, 1938, the daughter of the late Samuel Hoyt Anderson and the late Lorene Shirey Anderson. Mrs. Scott was a member of New Antioch Baptist Church. Her family will always remember her loving way she cared for them and also neighbors and friends. In addition to her parents, she was preceded in death by her husband, John Wayne Scott; her sons, William C. Roberson and Hoyt L. Roberson; her granddaughter, Patches Clements; and her sister, Betty Sue Anderson. She is survived by her daughter and son-in-law, Vickie and Douglas LeCroy and her son and daughter-in-law, Terry Wayne and Marsha Roberson; her grandchildren, Rick Studdard, Dena Graham, Crissy Hatcher, Jason Roberson, Jeremy Roberson, Amanda Justice, Britni Roberson and Bodie Roberson; and several great grandchildren. Funeral Services will be held on Thursday, August 2, 2018 at 3:00 pm at Oaknoll Chapel. Interment will follow at Oaknoll Memorial Gardens. The family will receive friends from 1:30 pm until the service hour. Serving as Pallbearers are Stanley Graham, Jason Roberson, Jeremy Roberson, Landon Studdard and Rick Studdard. Miller and Richards Oaknoll Chapel Funeral Home and Cremation Services are honored to serve Mrs. Scott’s family, please visit www.oaknollchapel.com to share your memories or leave a condolence message.